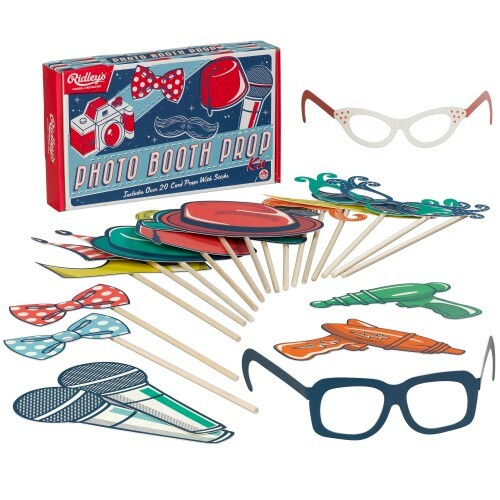 Selfie photo fun for all the family, on special day and every day, with our card photo booth props. Items include glasses, hats, bows, mustaches, bow tie and microphone. Verification Question: Eighth letter of happiness?